There are countless options when it comes to building sturdy, professional structures. Whether your construction needs are residential, commercial, or industrial in nature, you will likely encounter concrete as a potential building material. For many reasons, concrete is an excellent substance that will be a valuable asset to your finished product. Considering concrete? 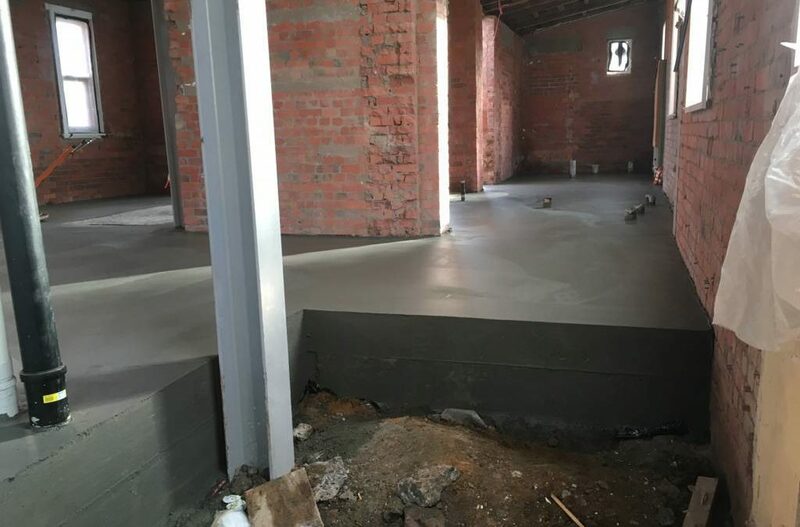 Though we may be biased (as the established concreting contractor Geelong residents know and trust) here are a few solid reasons that concrete is an excellent choice. Concrete is one of those materials that doesn’t require constant upkeep. After laying the concrete and completing any desired finishes, your driveway, concrete slab, car park, garage floor, or other structure is ready for action. As a long-lasting material, you can have confidence that your concrete construction will last for dozens of years, seeming to even strengthen with age. The durability and reliability of this material is one of the most important factors in its continued use and popularity across Geelong, throughout Australia, and across the globe. One of the reasons concrete lasts so long and maintains its good condition is because it resists damage so well. Water cannot permeate concrete, so water damage and erosion are impossible. In storms and heavy winds, concrete stands firm. Even earthquakes are a fair match for concrete—it withstands tremendous pressure and performs exceptionally well even in the face of a trembling earth. When concrete is used as an outer surface for a structure (such as in a home’s concrete foundation), it can also prevent the influx of water, chemicals, or other substances, adding an important protective layer and helping to uphold the structural integrity of your project. Concrete driveways, ramps, slabs, floors, and other surfaces are prized because of durability, strength, and a remarkably easy clean up process. Unlike timber flooring, which requires specialised cleaning and maintenance attention, concrete has anti-absorption properties and an easy clean surface. In most cases, you can simply wash away dirt and debris from concrete using plain water. In a world where sustainability is becoming increasingly important, it’s comforting to know that concrete meets the requirements. Concrete is fully renewable (in fact, much of the concrete used is recycled concrete) and never loses its strength or other benefits. The recyclability factor is an important part of being an eco-friendly material. But building with concrete also reduces other earth-damaging processes. As a material needing little maintenance and upkeep, the use of concrete saves on resources and emissions. In addition, it is an energy-saving material in itself. Buildings made with concrete maintain their heat and air conditioning very well due to the associated thermal mass. It therefore costs less to heat or cool concrete buildings, saving on the global energy drain. Convinced that concrete is the right construction material for you? Why not find out a bit more with a free quote from a Geelong concreting contractor? L & A Martino have been serving Leopold and beyond for more than 25 years. With a dedication to craftsmanship and quality, concrete is our business, and we’ll be happy to advise you on building with this advantageous, versatile material.